Musings of a Durotrigan: Plaid Cymru and Welsh Devolution: Good for Wales? Plaid Cymru’s annual conference came to an end yesterday with the party declaring that it would focus on achieving a “Green New Deal” for Wales. Whatever the merits of such a goal, one thing remains clear: Wales is not performing well economically and is overly dependent upon the public sector; it requires new productive investment to provide jobs and wealth, but is Plaid the party to deliver this? Being a self-declared Welsh nationalist party, it would not be unnatural to think that it should seek to pursue the best policies on behalf of the Welsh people, but does it? It has certainly been losing support, as illustrated by the National Assembly for Wales election results last year where it slipped from second to third place behind the Conservatives. The devolutionary settlement imposed by Labour and maintained by the Cameron administration has added an additional tier of bureaucracy to Welsh government and the delivery of public services. Devolution itself was passed by a hair’s breadth, with 50.3% of those participating in the 1997 referendum voting “Yes”, and 49.7% “No”. Turnout was low at 50.1%, so the new constitutional arrangement was actively endorsed by only one quarter of the Welsh electorate. This can hardly be adjudged to have provided a clear democratic mandate, given the significant implications of the vote. In 2011 another referendum took place, this time upon the question of whether the National Assembly for Wales should possess direct law-making powers which superficially delivered a clearer result than in 1997: 63.5% voted “Yes”, and 36.5% “No”. However, the turnout in 2011 was a meagre 35.4%, representing 22.5% of the Welsh electorate, an even lower proportion than in the 1997 referendum. Taking this into account, both devolution and the strengthening of the National Assembly’s law-making powers lack a clear democratic mandate, and the results of the second vote could be said to have been significantly influenced by the desire of Welsh voters to wrest power from Westminster during a period of Conservative dominated government, given that in 2010 26 of Wales’s 40 MPs were Labour. That many in Wales wish to preserve the Welsh language as a facet of their identity is understandable, and what happened historically, when Welsh schoolchildren were often punished for speaking Welsh in the playground, was clearly wrong. As one of the Celtic languages which were once widespread across much of Europe but are now confined to some of its western fringes, Welsh is a part of the European linguistic heritage worthy of preservation. That said, the manner in which some advocates of Welsh have in recent years sought to revive the fortunes of their flagging tongue cannot be viewed in such a positive light: compulsory Welsh-language medium teaching in a number of schools (particularly in Gwynedd) and legislation stipulating Welsh language proficiency for job applicants in the public sector and the “fully bilingual” provision of public services are heavy-handed measures that possess significant drawbacks. There is a difference between preserving and promoting Welsh, and imposing it. These measures impose Welsh, irrespective of whether or not this imposition is desired by the majority of Welsh residents. There exists a clear linguistic divide in Wales between the predominantly English-speaking south and east and the Welsh-speaking north and west, and it is in Gwynedd that support for the promotion of the Welsh language is at its strongest. The 2001 census showed that 69% of Gwynedd’s population spoke Welsh, with this figure rising to 88.6% amongst the 3-15 age group, the latter higher percentage presumably being the outcome of the imposition of Welsh-medium language schooling in the local authority. In 2004, only 21.7% of the population of Wales claimed to be “fairly fluent” in Welsh, with only 57% of these (12.4% of the population) claiming to be “fluent”. Given the modest levels of Welsh language competence in the country, the legislation connected to the promotion and imposition of Welsh does not appear to be in proportion to the demand, and in South Wales these measures elicit a considerable degree of popular apathy or outright opposition owing to their unnecessary nature. Welsh has been accorded the status of an “officially recognised language”, and in 2011 the Welsh Language Measure came into force which stated that Welsh must be treated on an equal footing with English. Further legislation is being prepared with respect to its implementation in 2013 which stipulates the provision of “fully bilingual services” with onerous obligations being imposed upon not only public services, but also private sector businesses in receipt of more than £400,000 in public funds. The BBC reported that this legislation “means a Welsh speaker could expect to receive correspondence and phone calls in Welsh, along with accessing Welsh-speaking doctors and carers” and that non-compliant firms “would be fined” up to £5,000. In effect, this new language legislation will mean that the majority of Welsh residents will be disqualified from applying for a wide range of jobs in their own country because of discriminatory language legislation which will debar them from the public sector and many roles in the private sector. Moreover, this will impose considerable unnecessary costs to both public services and private business at a time of economic hardship. These measures are neither good for the Welsh economy nor the Welsh people; their application outside of majority Welsh-speaking areas is particularly inappropriate, and they should be abandoned. Although Welsh should be offered as a subject in schools, it should not be the medium of instruction, for pupils would be better off using English which opens up greater opportunities for them across the country as a whole, rather than restricting their horizons only to Wales. Moreover, the situation in North Wales is such that many families attached to the armed forces have had to take the extraordinary measure of sending their children to private schools because the state sector provides only Welsh-medium teaching. Across Wales, approximately one quarter of pupils attend Welsh-medium schools. Welsh language policy could also act as a brake upon inward investment to Wales, with companies unwilling to incur the additional costs that it imposes. Plaid Cymru therefore, by pushing this largely undesired linguistic policy, is harming the economic interests of Wales as a whole, and the individual job prospects of the majority of Welsh people by excluding them from particular posts which are being reserved for Welsh speakers. This is the true face of discrimination in Wales today, which is being justified through reference to the fictitious ‘needs’ of non-existent Welsh-speaking monoglots. Nonetheless, the South Wales Police Authority is pressing ahead with a ‘Welsh Language Scheme’, so funds that could have been put to use in support of policing are in effect being diverted into an unnecessary aspect of cultural policy, for South Wales is not a Welsh-speaking region. 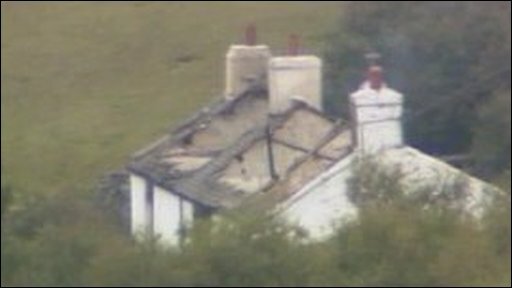 Perhaps one reason why there has been a reluctance for political parties to challenge Welsh language policy, is the fear of potential violent opposition to such a stance occasioned by the example of the terrorist campaign waged by a small band of militants calling themselves the Sons of Glendower (Meibion Glyndŵr), who in the 12 years following 1979 were responsible for 228 arson attacks. Although that campaign was specifically directed at English second-home owners and estate agents, presumably, such people could be sufficiently motivated to engage in acts of violence to preserve policies favouring the promotion of the Welsh language. Plaid Cymru does not offer the people of Wales what they require. Welsh voters are currently in the unfortunate position of finding themselves without a viable political choice, with there being no party that will offer to repeal the discriminatory and economically damaging Welsh language measures that are being imposed. Moreover, they are not being offered the opportunity to vote for the dissolution of the National Assembly for Wales, and thereby benefiting from the considerable savings that this would entail. However, it is the intention to make such a political choice available in the near future, and if you would like to become involved, your are more than welcome to do so. However if a majority endorse/oppose an issue then that decision should stand. Europe's linguistic heritage, and is one of the oldest languages in Europe. reasonable that the British State should contrive to revive it. 3) Your attack on bilingual education shows a lack of research and ignorance. Firstly many Welsh speaking schools are over-subscribed, and there is huge competition for places in Welsh mediums schools as the pupils there tend to achieve better exam results. Also learning two languages from an early age is said to boost a child's IQ. By all means attack Plaid Cymru, but don't attack the Welsh language. The question of voter turnout and legitimacy is of course not unique to the two referendums mentioned in the piece above, and is a tricky one. I appreciate the points that you make on this score, but simply wished to draw attention to the general lack of enthusiasm for devolution. As for the Welsh language, it is made clear enough in the article that I think Welsh is “worthy of preservation”; as such, it should be taught in Welsh schools, but it should not be imposed as the medium of instruction in schools without parents having the choice to have their children taught in English with Welsh taught as a separate subject. From what I have read and heard, the situation in Gwynedd does not allow for such a choice, and that is patently wrong. It is also wrong, as made clear above, to discriminate against Welsh people who happen to be non-Welsh speakers in the field of employment. Unsurprisingly, the issue of Welsh language generates a great deal of passion and heat in the principality, and it is good that the language has its defenders, but they need to temper their enthusiasm with a little realism lest they become overzealous in promoting their agenda. A balanced and well structured argument and equally dealt with at some length by Gogwatch and Glasnost (www.gogwatch.com and www.glasnost.org.uk). Most people support preservation of Welsh language and its unique cultural identity but can’t accept forced assimilation into a language and culture foreign to most people of Wales. Welsh language uptake even in Fro Cumraeg (Gwynedd & nearby) is not going well and its down to children having no interest in the language and use English as their social and cultural language outside the classrooms. In other words most pupils from English speaking homes will never achieve any proficiency in Welsh language and whatever they have learned in the primary years trough compulsion known as ‘immersion’ gets forgotten by the time they leave the secondary education. Those who support Welsh language above all else should read Bangor University report on situation in Gwynedd where all compulsion, punishment, bribery and so on to encourage kids not to speak English has failed and Welsh academia has no answers how to make it different (See: http://www.gwynedd.gov.uk/ADNPwyllgorau/2010/Is-Bwyllgor%20Iaith/2010-10-12/english/06_02_Appendix%201.pdf). The only way forward for Wales is to respect the parental choices as enshrined in the Education act for England & Wales (Not devolved) and have separate English & Welsh medium schools staffed with best teachers possible (No compulsion for Welsh speaking teachers in English medium schools) and then leave it to parental choices to decide in which language format they wish their children to be educated in (I happen to be a concerned parent with two kids one in primary and the other in secondary education being damaged academically and socially by being compelled to learn Welsh which sadly they have no interest in what so ever and all of their little mates feel the same). Thanks for the links 'Anonymous'; I shall take a look. Your suggestion with respect to enshrining parental choice for their children's education in Wales is sensible, and ought to elicit no objection from people of a rational bent. I am sorry to hear that your own children are experiencing negative consequences from the manner in which the education system is set up at the moment. Is there nothing by way of a campaign in your area that seeks to address this problem? Response to the claim by the Scottish Liberal Democrats that the "English Democrats" are extreme ! Although it has been said that "Imitation is the sincerest form of flattery", plagiarism is not. Taking my article, giving it a different title and not mentioning the original author, i.e. me, is bad etiquette to say the least. For any casual reader of your site, the piece thus appears to be the property of your blog, which it is not. You do of course provide a link at its very end stating "source", but this really isn't good enough; moreover, this is not the first occasion that you have done this. By all means, reproduce articles that you find of interest here, but clearly credit me as the author at the outset and provide a link to the original. I take issue with some of the points you raise, but will do so in a respectful manner. When you say "Moreover, they are not being offered the opportunity to vote for the dissolution of the National Assembly for Wales", what are you getting at? That a political party committed to dissolution doesn't exist? That it's not an option on a referendum? UKIP has supported dissolution in the past but it hasn't won enough support in Wales to force a referendum on the issue. That's democracy for you. I think it's a valid point to say how low the turnout has been in the referenda and the Assembly elections, and it could be argued that devolution in Wales is tolerated or passively accepted, and not loved or admired. However the real story is that not enough people have turned out to vote against devolution, or for anti-devolution political parties. People in Wales simply don't want to come out and oppose devolution in any large numbers. Condemning Plaid Cymru for this is the wrong target. The reality is that the acceptance of devolution by the Conservative party has been crucial in securing the position of the Assembly, and the interaction between Plaid Cymru and the Labour party has been vital to strengthening it (in a very small way- not that much was at stake in the 2011 referendum). Equally with regards to language policy, the vast majority of political parties in Wales are committed to Welsh-medium education, bilingualism etc. As in fact is the UK Government. The UK Government under the Conservatives put in place the first language act as a response to grassroots campaigning in Wales. To sum up, you put your points across rationally in my opinion, but politically your side has simply failed to organise itself at elections or at referenda and has failed to mobilise enough people to vote against devolution. Abstaining from an election is not the same as opposing it, especially when it is clear in UK law that electoral participation is voluntary. Further to that, successive opinion polls indicate that people in Wales generally desire further devolution, although they do not see it as a pressing issue. You make a very fair point with respect to a cross-party consensus on the issue of devolution, and in this respect, Plaid Cymru are far from alone, although they of course have been at the forefront of driving for increased Welsh autonomy. With respect to grassroots campaigning on bilingualism, you are right to note that the side advocating the active promotion of Welsh has been winning, and that the other side has not, but this in itself does not detract from the merits of the arguments forwarded, although obviously ineffectually, by opponents of this position. Politics is about providing people with choices, and given the cross-party consensus relating to Welsh language usage and devolution, the Welsh electorate are clearly denied this at present. However, I will concede that even if such a choice were to be made available, then Welsh voters might still opt to fall in line with the prevailing consensus. So be it. Like most Welsh voters (although I am not one myself), I do not view these issues as being the most pressing, but thought them worthy of exploration nonetheless; so, thank you for your comment. Did you mean to write "English" rather than "eglish"? Both "Welsh" and "English" are capitalised. Did you pass your GCSE in either Welsh or English? Facetiousness aside, I am glad that you are learning Welsh now, as it should be preserved. I am not, as you seem to imply, an "imperialist". If I lived in Wales, I would make some efforts to learn Welsh, but I realise that others - including some native Welsh English speakers - do not take the same interest in learning languages, and would rather spend their time doing something else.